What is the purpose of SSL and TLS? The purpose of the two protocols is to provide privacy, integrity and identification. This is an email text message. We’re writing this email to let you know that our representative is available 9 to 5 Monday through Friday to assist you with any billing issues. As mentioned earlier, the protocol offers identification between corresponding entities: one or both parties know who they are communicating with. After a secure connection is established, the server sends its TLS certificate to the client, who refers to a Certificate Authority (a trusted third party) to validate the server’s identity. How different is TLS from SSL? The two terms are often used interchangeably, although they are actually distinct. TLS is an updated and more secure version of SSL. TLS v1.1, v1.2 and v1.3 are significantly more secure than SSL and address vulnerabilities in SSL v3.0 and TLS v1.0. Fallback to SSL v3.0 is disabled by Microsoft, Mozilla and Google for their Internet Explorer, Firefox and Chrome browsers block the many vulnerabilities present in SSL, such as the POODLE man-in-the-middle attack. 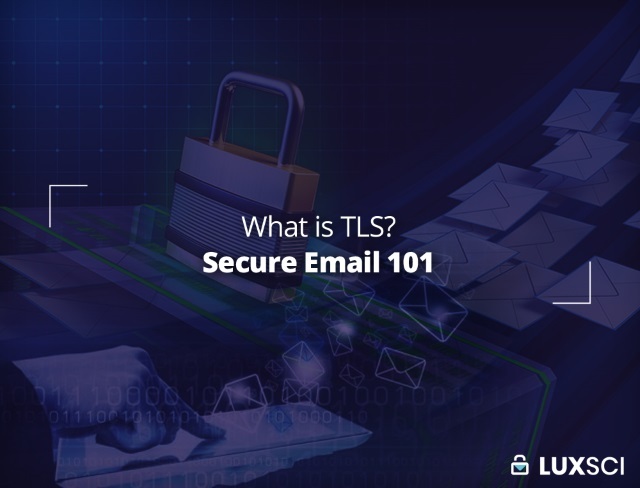 If you are configuring an email program, you can choose either TLS or SSL so long as it is supported by your server (because in this context the term “SSL” does not refer to the old SSL v3 protocol, exactly, but how the TLS protocol will be initiated). What level of TLS security is needed for HIPAA compliance? Health and Human Services specifies that SSL and TLS usage should adhere to the details described in the National Institute of Standards and Technology (NIST) 800-52 recommendations. Encryption processes weaker than those this publication recommends are non-compliant. The key points to note from the NIST documents are: (a) you must never use SSL v2 and v3 (b) when interoperability with non-government systems is needed, TLS v1.0+ may be considered Ok, and (c) only certain ciphers are acceptable to use. For more information, please refer to this article. A message sent using TLS is not entirely secure. The risk starts brewing when your messages start their journey back and forth from your email provider’s servers and your correspondents’ email servers. One risk is that your message could be send insecurely (via plain text) from your email provider to your recipient. Another is that your recipient may insecurely access your message at their email provider. A third risk stems from potential changes to your message at your provider, in transit or at your recipient’s provider, or anywhere else not protected by TLS or some other encryption technology. For optimal email security, you need end-to-end email encryption. S/MIME and PGP are the most secure protocols for authentication and privacy of messages over the internet. PGP does assure Pretty Good Privacy. You have a pair of keys — private and public; the former decrypts messages, the later encrypts them. Encrypted messages are safe as long as you keep your private key safe. Still, PGP (and S/MIME) are Pretty User-Unfriendly, as you have to use some technology and trade security keys ahead of time and everyone has to be configured and trained to use these technologies. A reliable escrow system is another option. Although in some ways it is not as secure as S/MIME and PGP can me, it does allow messages to be retracted after transmission. For a better understanding of enhanced email security for HIPAA compliance, check out this article. This entry was posted on Tuesday, November 27th, 2018 at 8:00 am	and is filed under LuxSci Library: HIPAA, LuxSci Library: Security and Privacy. You can skip to the end and leave a response. Pinging is currently not allowed.